Transform you P-shaped shower bath into an enclosure with this sliding bath screen. 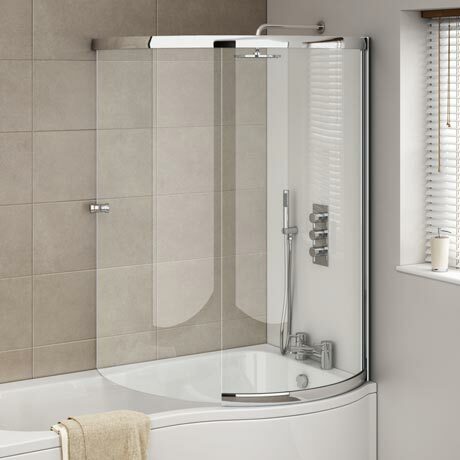 The sliding bath screen features 6mm toughened safety glass, the sliding design allows easy access in and out of the bath. Please refer to additional image to see screen when pulled fully back. Q. Would this fit a 1500 bath? 0 out of 11 found this question helpful.
" Simple to install, you do need a second person to hold in position to mark fixing holes. The adjustable levelling wheels helped level off the sliding door against the wall which made it a perfect fit. I'd buy again with out any hesitation."